The SDL Swimbait is the most natural looking on the market today. It's unique colors and transparency will give you the edge in clear water, and the glitter inside gives off flash that any fish in the lake can see. Available in two sizes, this swimbait is the secret weapon you've been looking for. Swim it by itself, or use it as a trailer on a Spinnerbait, Swim Jig, or Vibrating Jig. An absolute must for Lunker Hunters. I love both the 3 & 4" baits as the perfect tool for covering a LOT of water in a hurry for finding pre/post spawn fish. 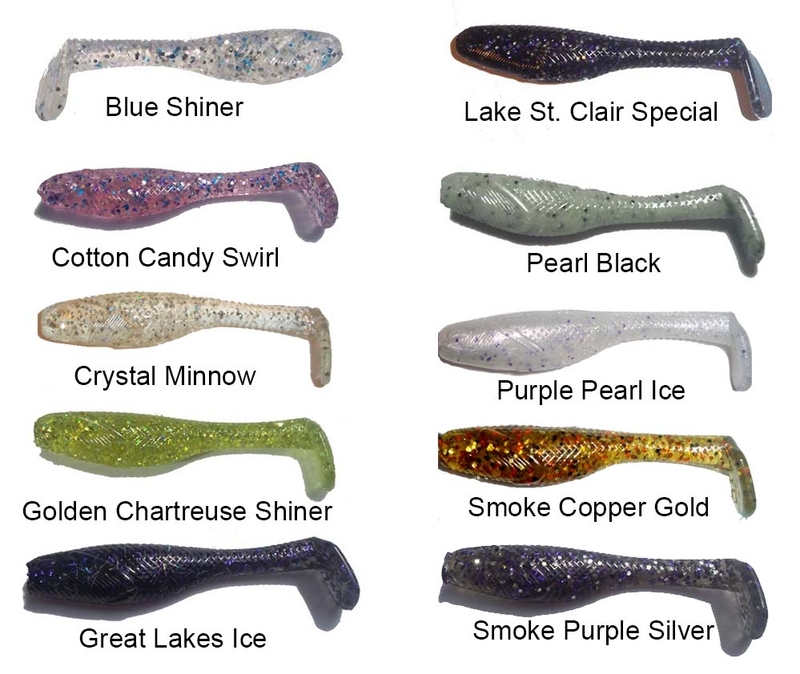 The color offerings on these can match any hatch, and the plastic is soft enough to give the baits a unique action, yet durable to stand up to catch after catch. I LOVE these little swimbaits! This bait is a new bait for me to try, I have friends down south that use this style bait, so I want to try Snake Daddy Swim bait to see if I can catch more than them. HA! HA!